Most millennials will probably miss the title’s reference to that 1960s TV show Have Gun, Will Travel starring Richard Boone as the soft-hearted gun-for-hire Paladin, but I’m happily appropriating it for this week’s piece on travel, given that summer is practically here and many of us are packing our bags for the year’s big sortie to parts unknown. Global travel has become such a big part of the Filipino lifestyle that it’s changed our culture in all kinds of ways, from our food and fashion preferences to our outlook and attitudes. Of course we can’t forget that most Pinoys still travel for work — for back-breaking jobs far away from home and family — rather than for leisure. 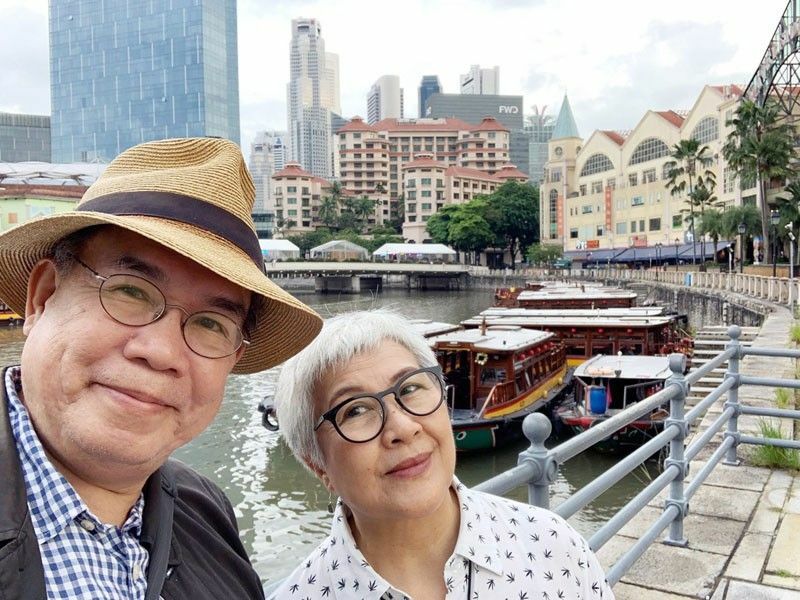 Indeed my wife Beng and I were too poor when we got married 45 years ago to go anywhere farther than Baguio, and come to think of it I can’t even remember when we sat side by side on a plane for the first time to see a bit of the world together — it certainly wasn’t on our honeymoon, because we never had one. But we’ve since made up for lost time by traveling up a storm, especially since I made a vow a decade ago to bring Beng to every place I’d ever been, having had more opportunities to get around as a writer and academic. Except for Myanmar and Brunei, we’ve now been all over Southeast Asia, parts of Europe, Australia, and of course the US. I was filling up our visa application forms for the UK a week ago — I love the UK, where Beng and I lived for almost a year in 1990-2000 when I was a writing fellow at Norwich, but Christ Almighty, their forms are a pain to fill up, being 12 pages long and asking for your travel history for the past 10 years. That’s when I realized that I’d traveled more than 50 times since 2009 —most often in 2012, when I took nine trips, mainly to conferences. And when we travel on our own, it’s strictly on a budget — meaning boutique hotels, 7-11s, and local buses and subways all the way. I plan out our flights months in advance on Skyscanner.com.ph, and find our hotels on Booking.com. No room service, no Michelin restaurants, no High Street shopping, just museums, flea markets, and hawker stalls. That’s why I love traveling with Beng, because she’s easy, and between the two of us, I’m the picky one, in an odd way — she’s adventurous and will try anything, but I’m a creature of habit and insist on having my noodles and canned sardines, even in the middle of Europe. 1. I take pictures of all important documents — passports, visas, prescriptions — and store them on my phone. I take pics as well of hotel addresses and vicinity maps, just in case I can’t make a live online connection. 2. I always carry a spare unlocked phone and buy a local SIM at the airport. 3. Since 1999, I’ve been using a free app called Metro (regularly updated) for using the subway or metro in any city I visit. Mastering the local transport system saves on Uber, Grab, and taxis. 3. I usually just withdraw cash from the local ATM and forget about money changers — there’s a surcharge, of course, but it’s safer, more convenient, and easier to track. At the end of a trip, I don’t convert foreign currency back to dollars or pesos, but keep it for my next trip. It’s always good to land with taxi fare in local money, and small bills for hotel staff. I always check Google about local tipping practices. 4. I always take out travel insurance (online) for long trips. I’ve thankfully never had to use it, but you never know. 5. Like I mentioned earlier, I always look for cheap or good flights on Skyscanner.com.ph and book my hotels on Booking.com. Remember that in booking flights or hotels, cheapest doesn’t always mean the best bargain. Times and locations matter. That said, happy trails and safe travels! Email me at [email protected] and visit my blog at www.penmanila.ph.